This poem first appeared in Fox Cry Review, 2009. 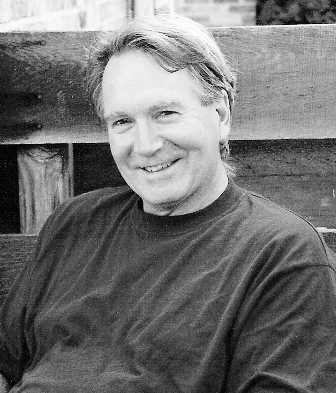 Stephen Anderson was the First Place winner of the Kay Saunders Memorial New Poet Award in the 2005 Wisconsin Fellowship of Poets’ Triad Contest. His work has appeared in Southwest Review, Verse Wisconsin, Tipton Poetry Journal, Harvests of New Millennium, Free Verse, Foundling Review, Wisconsin Poets’ Calendar (2002 & 2008), Fox Cry Review, Little Eagle Re-Verse, Brawler, ExpressMilwaukee, Your Daily Poem, as well as in numerous other print and online publications. His chapbook, The Silent Tango of Dreams, was published by Pudding House Publications in June, 2006. More recently, his poems are part of a new collection/anthology entitled Portals and Piers(Sunday Morning Press, 2012 ) Many of his poems have been featured on the NPR Milwaukee-affiliate radio station WUWM. He lives with his wife in Shorewood, Wisconsin. A subject that needs to be written about. Beautifully said. How this pulls at me as I think of parting with my mother's girlhood play teacups or her watches that no longer work. "Lovingly bequeathed as if they were brothers" Wow! A poem that shows a wrenching moment, and the guilt of the living.Wonderful imagery. Very touching! I have been there and the poet has captured the ambivalence of the moment very well.